Beat peanut butter and butter with a mixer until smooth. Add brown sugar, and continue to beat until fluffy and well incorporated. Add egg and vanilla paste, and beat until incorporated. Stream in dry ingredients, and mix until combined. Scoop tablespoons of dough and roll in your hands to form into balls. Pour sugar into a shallow bowl. 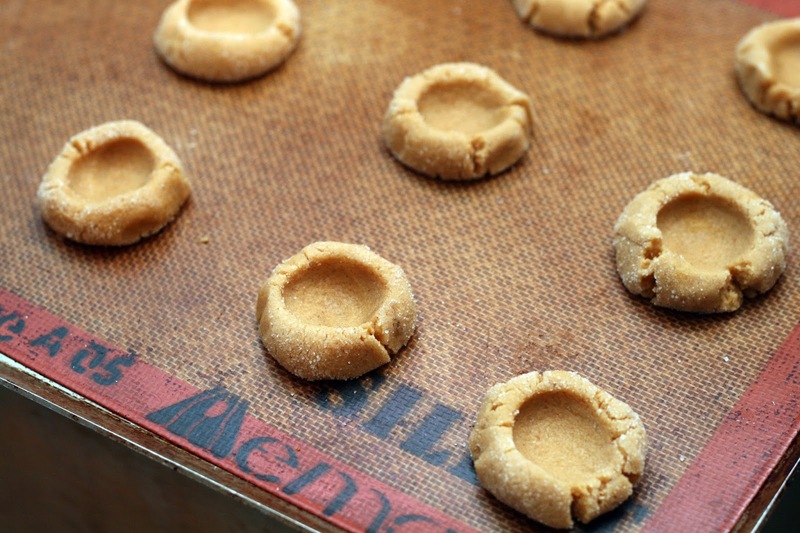 Roll each ball in the granulated sugar, and transfer to parchment-lined baking sheets, spacing about 2 inches apart. Bake until cookies are puffy, about 10 minutes. Remove from oven, and make indentations in centers by pressing with your thumb. Return to oven, and bake an additional 5-8 minutes or until golden brown. Transfer sheets to wire racks, and let cool completely. Spoon about 1/2 teaspoon of apple butter into each cookie. 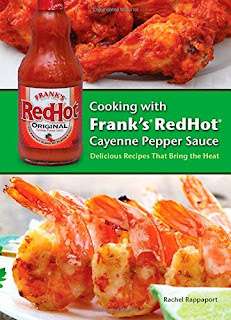 *I used the natural kind that you don't have to stir the oil back in to use. My husband grew up in a "healthy" household and a treat was apple butter-peanut butter sandwiches. I took that and turned it into something even more indulgent, cookies! He has been busy this spring taking an evening sign language class and for their last day, they had a potluck. 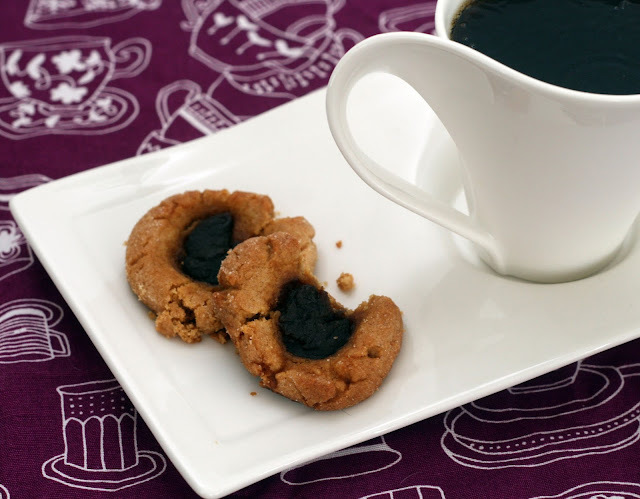 What better place to serve something nostalgic like thumbprint cookies? 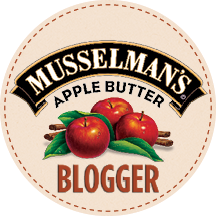 Peanut butter is always a crowd pleaser (we checked--no allergies in the class) and this year I am a Musselman's apple butter blogger so I knew exactly which apple butter to use. The apple butter is surprisingly spicy so it was a nice contrast to the sweetness of the cookies. Quick tip, if you are transporting these, they did really well in a square Tupperware container with sheets of wax paper between the layers of cookies.